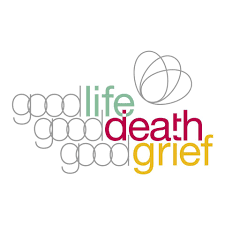 Below you can access lists of books and resources I’ve come across so far on this journey – not all of them about grief. Some books were more important to me, others less so. You may recognise many of them and possibly discover new ones that could be helpful. Sometimes it was just one sentence or a few pages that I ended up reading at just the right moment when I needed to read them. An example is a passage in Neale Donald Walsh’s Home with God. I found the book fairly patronising overall and didn’t like it that much, but those particular pages (from 26% in the Kindle version) were exactly what I needed to hear when I was lying awake at 3 am one night. We always welcome suggestions of other books and resources for including here – just leave a comment below. Thank you!